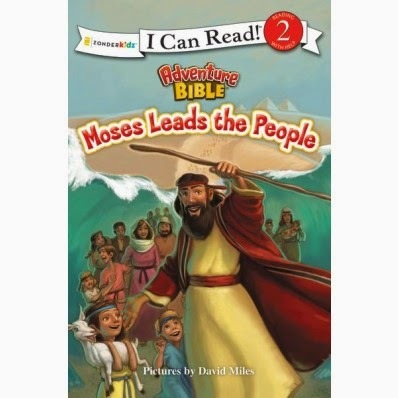 Book Review- "I Can Read- Moses Leads the People"
The Israelites are in slavery in Egypt, and God wants Moses to help set them free. But Moses is afraid no one will listen to him. And the Pharaoh is stubborn! He doesn’t want to let God’s people go. Even when God sends many plagues to Egypt, the Pharaoh still says no. Then God sends the tenth plague. Will Pharaoh finally let God’s people go? This level 2 I Can Read! book is designed for newly independent readers and is based on the Adventure Bible—the #1 Bible for kids! Most of us know this story but once your child is able to read it on there own with a I CAN READ! book it truly makes them process the story a little bit more. This version really made us think more about how hard it must have been for Moses. The story was easy to relate to because how often do we question our abilities or gifts when really we should not worry about our abilities and fully trust in God's abilities! This is a great story and with a parents help you can dig in deeper and discuss the story!